Today is your birthday. You are now 2. 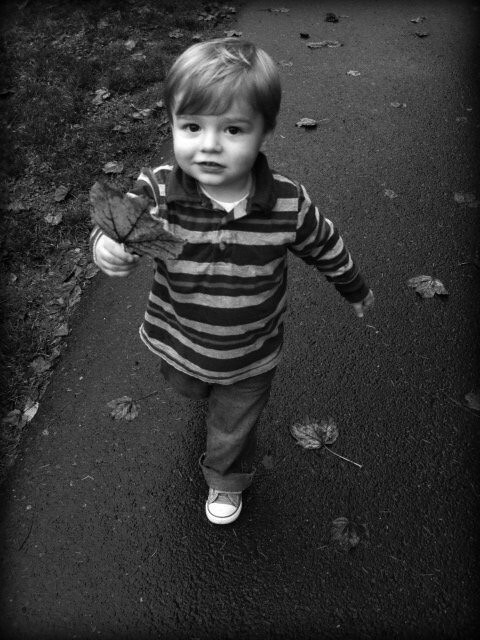 I think sometimes your dad and I forget that you are ONLY 2 because everyone who meets you just assumes you are older. “How old is he, 2-and-a-half? 3?” I think someone even asked if you were 4, and that is just crazy. But, sometimes I look at you, with your full head of (gorgeous) hair, in your decidedly non-baby attire, and thinning physique, and I think: where did THIS KID come from? Outside of your maturing physical appearance — though, when you’re just in a diaper, it’s then that you still look like a baby — your exploding vocabulary blows my mind. We’re still working on complete sentences, but you already know so many words. One of your favorite things to do is to point at random objects around the house and rapid-fire quiz us! “What’s dat?” “Lamp.” “What’s dat?” “Stove.” “What’s dat?” “Door frame.” And we quiz you, too. Your dad purported that there might not be one object in our house for which you don’t know the corresponding word. A few weeks ago, when your Beppe was visiting, she and I took you out for a day of shopping. Afterward, we stopped for lunch, and outside of the burger joint was a fountain. It was pretty cold that afternoon, but we let you investigate it anyway which led to you putting your hands in the (very cold) water and your pants getting wet. Apparently, this fountain made quite an impression on you because when your dad came from work, you excitedly tried to tell him about it. All the while, you kept gesturing with your hands, cupping them as if filled with water, to demonstrate to Dad just how awesome this particular fountain was, and I could just see you getting a little frustrated that you couldn’t quite say all the words in order to form the sentences required to tell the whole story. Truly, it was one of the funniest (and cutest) things I’ve ever witnessed. I wish I’d been recording the conversation. I have to say, it’s hard not to buy you the whole world for your birthday. (Honestly, your grandparents are doing a great job spoiling you anyway.) At 2, though, you really do not understand the concept of gifts yet, so I’ve refrained from ordering you the stars and moon. But, let’s talk for a second about the greatest gift you have given US this last year. At some point — and I can’t really remember when exactly (March, April?) — you started sleeping through the night. Gloriously long stretches of uninterrupted slumber for you, me, and your dad. And, not only do you sleep well, you now go to bed with nary a complaint. Gone are the endless hours of rocking you into submission. Er, I mean, to sleep. I know I’m tempting fate by announcing this to the world, but you truly have no idea how much your dad and I appreciate the precious gift of sleep. I think I can say it’s made me a much better mom this year. (Dad, wouldn’t you agree?) You’re certainly benefiting from it, too! I love that when we get you from your crib after a night’s sleep, you say, “Nap.” As if you’ve just taken the world’s longest nap. It’s called sleeping, son, you’re now a champ at it. If that doesn’t deserve a round of applause or a champagne toast, I don’t know what does. Tomorrow we are having some friends over for a simple birthday celebration, and even though you probably won’t remember the occasion, it’s important that you feel special on your birthday, even if it’s only your second ever. Some day, birthdays will just feel like any other day, as they do for me now, so while you’re still fresh and young and not yet jaded, let’s celebrate! Because after all, you’re 2, and you’re terrific! I love you more than I will ever be able to properly convey. *All photos by Stephanie Jones-Gunn. I love the attempts at stories. Two-year-olds are amazing! Happy birthday, Rowan! He is either sprouting quickly or I haven’t seen him in a while because he’s so tall and where is the baby chub? So adorable. These photos are so great- Steph did an awesome job! I hope you had a good experience with her. Such great photos. I can’t believe all these boys of ours are two. 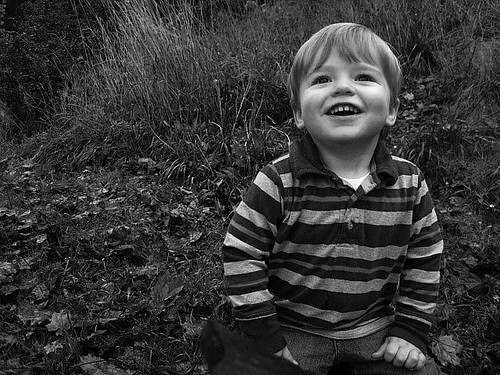 Happy happy happy birthday, Rowan, you cute kid you. I LOVE all of these photos. And Happy Birthday to your little man. Two! I can’t believe it. Also! He’s so blessed to have a Momma like you. Nice piece, Jen. Great photos. Happy Birthday, Rowan. Well, you officially made me cry, because not only was it a lovely post, but you made me think ahead 16 months to our own’s 2nd birthday. That age seems fun. And Rowan didn’t sleep through the night until 15-16 months old? By admitting that, you just made my 2010. I thought my struggling with an 8-month-old not sleeping all the way through consistently was a situation I was suffering alone, or with very, very few. And I can’t help but question if we’re doing something wrong (though my common sense tells me to shut up). I too can see how I could be a better mom if I could just stay in my bed for a full 8 hours (or more?!) straight. Someday. 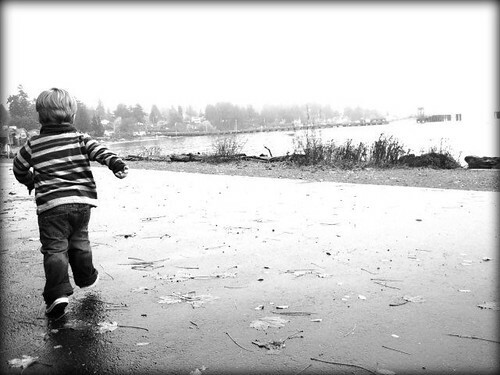 As with anything with kids, especially babies, this too shall pass… And you just proved to me it will. Thanks. Man, you don’t know how bad I wish our boys could play Tent together. Rowan sounds like an excellent host. You guys are great. Thanks for sharing your family with us. What a beautiful reflection! And the pictures are gorgeous. Happy Birthday Rowan!!!! Enjoy your special day :)! Beautiful photos, Jen. Happy Birthday Rowan. Look for a little ecard in Mama’s email. what a beautiful letter for your son. it moved me. i’m certain that when rowan reads the letter, as an adult, he will be so appreciative that you took the time to record your thoughts at this particular moment in time. it is precious. happy birthday to your precious son! i hope it is a special day for all of you. Ro Ro – Happy Birthday! 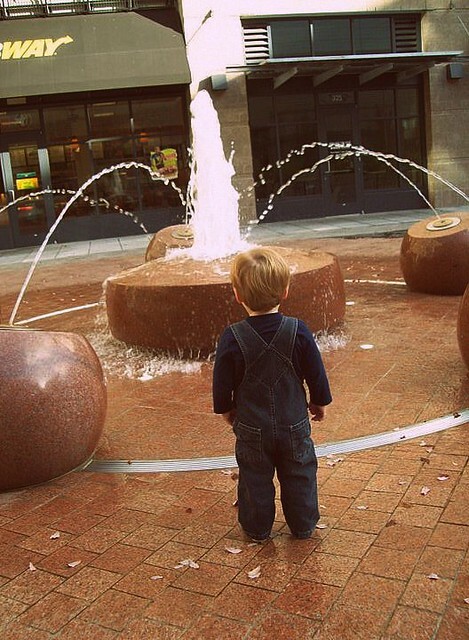 I was there when you told your dad all about the fountain! You are such a great story teller! and I saw you play in the water fountain. I took that photo. It was a fun as you told us! Your Pake and I can’t wait to play tent with you in a few weeks! Such a delight to read this, thank you for sharing. And happy birthday to Rowan. He has two of the greatest and best parents ever. All three of you are very lucky. Makes me want to be a mom. Happy birthday to Rowan! 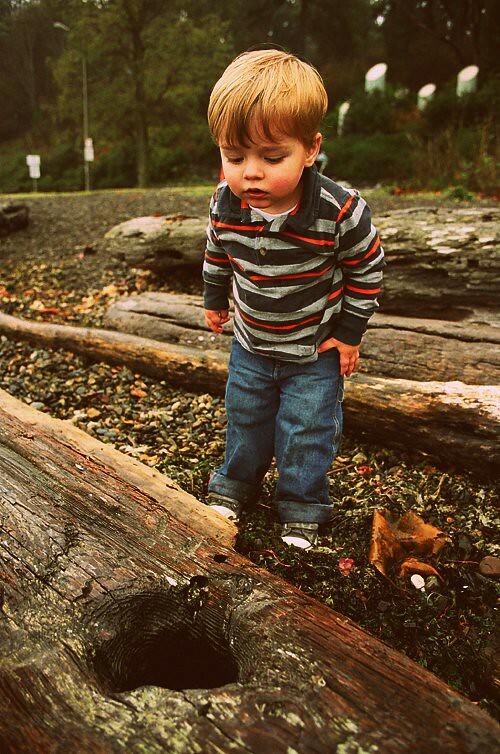 I ADORE the photo of Rowan looking down the hole in the log! Did you take it? Just lovely. Happy birthday to Rowan and happy birth day to you! This is such a sweet, lovely post. Thank you for sharing your adorable son with us! Beautiful post & pictures, Jen. That’s one special (& lucky)little boy. You’re a wonderful family & I’m so glad you’re all part of mine. 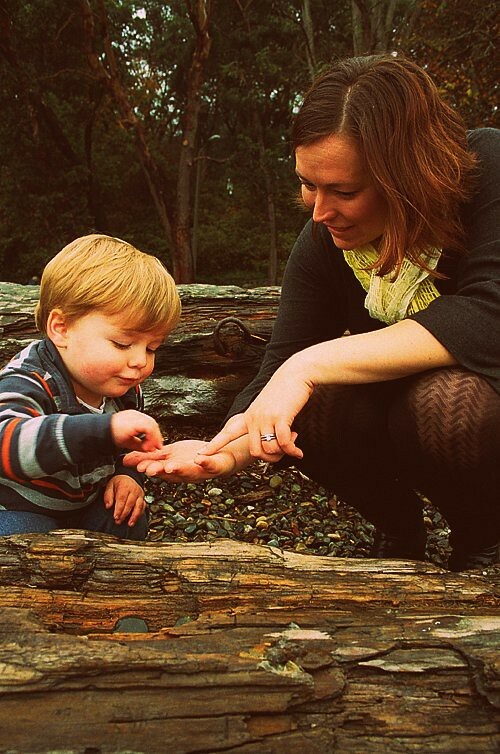 Happy Birthday to your adorable son Rowan! Hooray for turning 2! What a sweet little guy he is.